Blame is the energy that makes us slaves and guarantees to worsen your conditions. Now is the time to use all your energy and resources to sell yourself and/or your products and services and quit blaming, accusing, and criticizing. No office in the land, not the President, Congress, the Senate, no amount of bailouts, gimmicks, free health insurance, equal pay for everyone, or any of the other promoted programs will make you and your family more secure. Even if some magical entity were able to provide you with security it would only make you less able and more a slave! If you are going to make sure your company, your job, your finances and your future are secure it is up to you. If your company is going to rebuild itself or you are going to fix your personal finances you will have to take full responsibility for doing so and assume that no one, no party, no gimmick, nor any program can save you or your company. Blame the rich, the Republicans, the Democrats, Wall Street, the banks, God, or whomever you want but it will not change your condition nor will it increase your abilities! 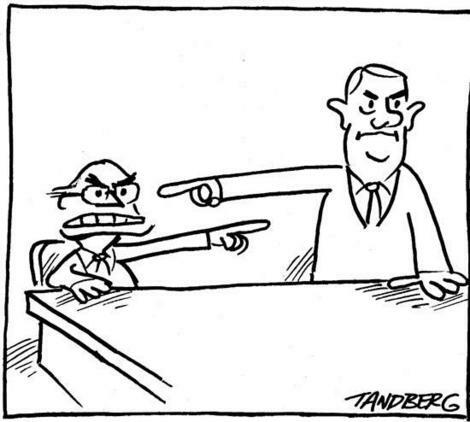 Blame is for those that look to assign the source of and the solution to their problems to others. Blame ultimately makes slaves, not masters and cannot change the condition of your business, your finances or make your more desirable in the marketplace. “When you look for others to solve you problems you are basically assigning blame to another party for your problem and if another party is to solve your problem you will ultimately find yourself with an unsolvable problem”, from Sell to Survive. Even if ‘they’ could solve your problem with equal wages, free health care, cash for clunkers, unemployment benefits, food stamps, or any of the like you will become no more than a slave, less able and more dependent. These programs are designed to get your votes first and a reason to raise your taxes later and eventually will make you less able. As the saying goes, catch a man a fish and he eats today, teach a man to fish and he can feed himself forever. 1) Knock off the blame, it’s wasted energy. 2) Take complete responsibility for your own ‘way out’. 3) Never rely on any other person or entity for your solutions. 4) Learn everything you can about how to sell your products and services as regardless of your job as this will make you invaluable in the market. If you want to keep your job increase your value to your employer. If you want a job demonstrate how you can bring in revenue. If you want more money make yourself more valuable to your clients. If you want to be a master of your universe break your dependence on gimmick programs and government angels that make your life easier for a moment and harder for a lifetime. If you want to rebuild your business put all your attention on selling and servicing your clients and quit blaming your clients, the banks the economy and the government. Next post: Consumer Confidence Will Be Restored When Abilities Are!